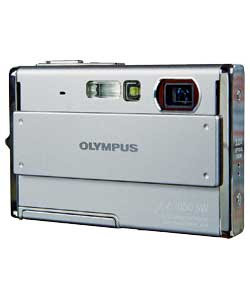 Okies .....so a little while ago we got a new baby an - Olympus MJU1050SW 10MP Tough Waterproof Camera. Our canon point and shoot camera we had had for a while, so we wanted to treat ourselves before we do any more of our travels. We had this a little prior to my weekend in Italy. Its waterproof, shockproof (apparently you can drop it and it won't break and mighty tough! We are loving how quick it is to take photos and is sometimes a lot easier to carry than the SLR. On the weekend of Sunday May 3rd we walked along the canal to Little Venice. An area a little bit past Regents Park. Clint loves being near the canal and seeing the canal boats and I found out that there was a Canal Carnival in Little Venice where there was going to be more than 150 boats coming to strut their stuff, so to speak. We were a little diappointed as we thought we could make a big day of the festival. But once we got there, we were able to have a look around quite quickly. There was a section of food stalls, some craft stalls and of course the canal boats. The view of the festival from one side of the canal. A selfie, not a very good one, from the bridge overlooking the canal. A tulip that caught my eye - so random! After we looked around we slowly made our way back to Camden. And our little apartment that I LOVE so much!! Love having our space, our stuff ............ LOVE IT! hi raquel, little venice looks very sweet. love your new camera.gotta go all the family has flu. take care of yourself love aunty rhonda. It looked a nice place to spend a day. Your new camera seems to be working well. Look forward to more pictures. Not long now till Carmen arrives. Pa & I are both well. Love Grandma.